A free one-hour video with Creditera's Tim Graczewski that will teach you proven tactics for building a stronger business credit profile and why it matters. Is Startup Funding an Oxymoron? Did you know that there’s a difference between personal credit and business credit? Both can help you become eligible for funding, but business credit can help you gain capital and save money for your business. Creditera’s Tim Graczewski joined us for a one-hour webinar that taught us proven tactics for building a stronger business credit profile. You can watch the full webinar video for free above, or read the transcript below. To check your business credit for free, click here. Jonathan: Today our presenter is Tim Graczewski and he is the Vice President of Strategy and Business Development for Creditera. A graduate of Johns Hopkins University, Tim has worked all over the world including time with NATO and the U.S. Department of State. He spent seven years with Intuit as a senior leader in strategy and a product leader with QuickBooks and Payroll. Today, Tim dedicates himself to helping people across the globe start their dream business with Creditera. Without further ado, I’m going to pass this over to Tim, let him start his presentation and share with us why business and personal credit matters. Tim: Well. Thank you very much, Jonathan and hopefully everybody could hear me pretty well here, I’m signing on from Washington, D.C. Now Creditera’s headquarters are on the West Coast but I’m out here in Washington meeting with senior government officials for small business and the first thing I was hoping to convey to everyone out there is that you know what, there’s a business credit score out there and if you’re a small business whether you’re been in business for five years or you just started, you really need to understand that this score is out there and it matters. Most people, when they think of credit scores, they think of their personal credit scores, and they say well, I have a 715, I’m fine, that’s my business credit score, but actually your business has a completely separate credit score from your personal score. There are a variety of credit bureaus that report on a business whether it’s Dun & Bradstreet or Experian. They have a report out there on you. If you’ve been in business for a few years, chances are they have a score whether it’s complete or a thin file that is basically determined by how much information you give them. The bottom line is, as a small business, you absolutely want to build up this score so that you can trade upon and ultimately get financing based upon your business score rather than your personal score. Your business credit matters, not only because it helps you get financing but ultimately there’s a variety of reasons that businesses look at your business credit score that can save you time and money. Your business insurance for example is probably based upon your business score. Whether you paid 30, 60 or 90 day net terms is based on your business credit score. The terms with which you pay your merchant capital in terms of credit card acceptance is can be based upon your credit score, it’s not even just your loans, there’s a variety of other reasons why your business credit score really matters. Where do these credit scores come from? There’s a variety of credit bureaus, some are commercial, some are personal, some are both. For instance, Experian, Experian based out of Southern California, they have both a personal and business credit score. Their personal score vantage which is your typical 750 credit score to get a credit card or a home loan but they also have a variety of business scores. Now TransUnion, they are completely consumer, they have no business scores. Equifax, like Experian, has both; Dun & Bradstreet, purely business. Then there’s FICO, now what FICO does, Fair Isaac Corporation is they are experts in doing essentially algorithms to determine your credit-worthiness. They take data provided by Experian, or TransUnion, or Equifax and ultimately come up with scores that rank you. All of these folks, these credit bureaus, some are personal, some are business, some are both; but all of them have an incredibly important role to play when it comes to how you are viewed by the financial institutions. Now there are a variety of scores, perhaps too many. On the personal side, it’s essentially 300 and a 350 to 850. If on your personal side, you maybe have a 750 credit score which is a very solid personal credit score. On the business side, Experian and as well as Dun & Bradstreet, it’s 0 to 100. With regards to FICO, SPSS, it’s 0 to 300. Here what you need to really understand is where do you land on the personal side for credit? Are you excellent credit rating, medium, high risk, and then on the business side of things it’s going to be a completely different score. In particularly when it comes to FICO, and then most of these things, I should add are much more like qualifiers. If you’re familiar with SAT Scores and applying to colleges, there might be some schools that have a minimum SAT requirement. Now that doesn’t mean that if you score higher than that, you’re automatically in, but it means that you meet a certain threshold then they’re going to look at other things. That’s how you should think about these credit scores, whether it’s personal and business. Many lenders are going to look at your scores at least to determine whether they should spend time looking at your portfolio. Again some of it might be personal, some of it might be business and might be quite different. Where do these business reports come from? Well, first of all, once you register your business as a legal entity, that is established in a legal record and then public records are created and perhaps most importantly your suppliers or customers or vendors start reporting upon you as to how you pay and how quickly and how fully you meet your obligations. This is how those credit reports are created. When your business credit score’s ultimately created, it’s a match of how long you’ve been in business, your essential payment history, your debt-to-income and your business data. Then ultimately Dun & Bradstreet, Experian, and Equifax come up with a score for you. Now the really important question that you could ask particularly for those of you who have dialed in who’ve been in business for a while is do you have a thin file? Now what a thin file means is you’ve been in business, let’s just say for three to five years, and Dun & Bradstreet or Experian or Equifax knows that you’re out there. They know your company name, your address and all of that, perhaps even your SIC code, but because they don’t have enough trade lines reporting to you and enough information, all they can say is that you are a business that exist but we have nothing on you and we can’t actually give you a score. That means yes we know you exist but we can’t actually comment upon it. Major differences between personal and business credit and this is really important because a typical American business, small business owner will understand personal credit far better than understanding business credit. First of all, there’s a difference in the score which we’ve already talked about. If you are a business owner, you might have a personal score of 760 but what is your business score? That’s a question that you ought to ask, perhaps you know it, perhaps you don’t—but you should know it. Number two, there is no legal protection for your business credit unlike personal credit. Let me expand upon this a little bit. The fair credit reporting act, which is the FCRA, ultimately mandates that for personal credit use, there’s only nine permissible purposes for which people can look at your personal credit. John Doe, I cannot look up your personal credit rating. It is protected by the FCRA, and there’s a variety of legal protection around that score. Once it comes to business credit however, it’s something of the “Wild West.” A lot of people don’t realize this and don’t understand this but anyone who’s dialed into this call right now, all I need is your business address and telephone number and I can look up your business credit rating whether it’s Experian, or D&B, or Equifax. For any reason, anonymously, and without you knowing, I keep all your credit report. That’s really important to know. I’ve been at a variety of shows and people didn’t believe this and I asked them to come up just give me their business address and telephone number, and I pulled their credit report right in front of them. Hey, listen, this is something and it’s out there and it can be pulled. Now number three, because there is no legislative protection over business credit report. They’re much more likely to have errors. When your local bank or credit union is going to be looking at you for financial consideration, they’re going to be pulling your business credit reports whether through D&B or Experian or whomever. There might be significant errors in that report. Now they will not come to you to verify that those reports are correct or inaccurate. They will just automatically assume that they are. In our experience, we have found that about 35% of small business credit reports have errors, and that the vast majority of those are recently fixed. Then last but not least is this topic of payments. If you are highly attuned to personal credit judgement if you will, you will know that if you pay your bills, whether it’s credit card or whatever. Within 30 days of the due date, you are considered excellent. That is if you have a credit card payment, it’s due on July 1st, you pay it on July 25th, it really doesn’t matter, you were considered within bounds. Once it comes within business, it’s a different metrics. For instance, the Dun & Bradstreet PAYDEX score, the highest score you can get out of 100 if you pay exactly on time. If your bill is due on July 1st, you pay it July 1st is an 80, and so on the business side of things, you get absolutely zero leeway on late payments. If you actually want to get 100, you have to pay early, rather than on time, rather than on a personal side of things, you can pay 30 days later and still be considered perfect. Those are just a couple of quick examples about how personal and business credit differs. Why should you care about your business credit? We’ve already talked about a few reasons. Let me highlight these, most folks think of business credit as raising funds for a variety of reasons. Whether it’d be financing, inventory purchasing your physical location, but it’s absolutely the core foundation is around financing which of course is a big part of it. As seen here, your business credit has a lot more influence than just financing. It’s the insurance rates, it’s how much you’re going to pay for a quick enlistment. It’s your payment terms, whether it’s 30-, 60- or 90-day net terms. It’s whether or not you will qualify for a government or an enterprise contract. It’s whether or not you will qualify for certain terms under a business credit card. The fact of the matter is is that business credit is an enormous part of small business success. If you look at the SBA records, they would suggest that one of the primary reasons that small businesses in the United States are unsuccessful is because they cannot raise the funds necessary to keep them in business. Business credit in getting financing. You’ll get approved with better rates. Once you establish a strong, small business credit profile. Not only are you going to be much better off in terms of getting access to capital but you’re going to access 10, to perhaps 100, times more capital than you ever could as an individual. What you really want to do is to raise funds, get fund through X based on your business not on yourself. The sooner that you can separate your personal from your business life and start to raise capital on your business, you’re going to be much better off. What can you do to protect yourself and to build this product? First of all, you need to start building a strong business credit profile. You need to make sure that you understand what your personal and business credit scores are today. Are they bad, do you have a thin file? Just basically understand what you’re dealing with. Number two, hopefully you’ve incorporated as a business. There’s a variety of ways to do this, we can send you in the right direction. The bottom line is you need to be incorporated. Number three, establishing an employee identification number (EIN). Again, all of this is about establishing legitimacy of your business. Number four, open a business banking account. Then number five, establish credit lines for your business. This is something that is super easy for small businesses to do but few understand. Let me give you a couple of examples. Regardless of your business, I don’t care if you’re making cupcakes or bicycles or you’re doing interior design. Tomorrow, you can go out and get a small business credit line through Home Depot, or Chevron, or Staples. All of these accounts will give you $100 credit to be spent only at their stores. All you have to do is warm a mirror to get access to these cards. If you do that for two or three, and you open them under your small business name, you’re starting to build the credit profile of that business. If you are a new company and you want to go out there and open three or four small lines of credit only to be used at Chevron, Shell, Home Depot and if you go to our site, you’ll see a bunch of them. All you got to do is go and spend $20 at a variety of those places, pay it off early and you will start to build up that credit profile. Last but not least, we have here again a Dun’s number, it’s a Dun & Bradstreet, as well as Experian. Ensure that those bureaus know who you are and that you’re out there. Once you’ve done that, how do you build that credit profile over time? Business banking account. Separate your personal from your business life. Get a business banking account and start doing business on your net account. The most important thing is that you separate your personal guarantee from the business that you own. Then number two, related to number one, start charging your business expenses to those accounts. Whether it’s a company credit or if you want to start, you do want to get an account with the QuickBooks Online or Xero or whatever the case. Start showing that this business is viable and that you have an independent account from yourself. Number three, business insurance. Number four, build business credit. All of this stuff is what you ought to be doing whether you’re from day one or day five in your business, to start building your business credit. Lastly check regularly, make sure that whether it’s a personal or business account or whatever they have on your is accurate and it’s up to date. If you have to dispute it, if there were things that are incorrect, and by the way we found that about 35% of businesses have inaccuracies on their credit report, make sure you have them dealt with. There’s absolutely no reason that you should have financial institutions judging you on data that is incorrect. Number two, noting files, if you’ve been in business for a while and you look yourself up and they don’t have a score on you, you need to start improving that so they know who you are and at the very least, they can start building the score because they’re getting information that can make sense and that they can ultimately build a score upon. Number three, make sure that your credit lines are being reported. What you’re paying people, vendors, suppliers, whatever the case. Make sure that they’re reporting to these credit bureaus. The last thing you want to do is be in business for five or six years doing solid business, paying on time or early and getting no credit for it. If you’ve been around for a while and you’re paying folks, please make sure that at least you to report in those bureaus so that you get credit for how strong the business that you’ve been. Number four, pay early if you can but never be late. When it comes to business credit, payment status is incredibly important. Number five, planning for your future. Figure out how you want get from plan A to plan B. If right now you’re not from a score-wise where you want to be, figure out exactly how it is that you can do that. Last but not least, all of this—everything I’ve talked about tonight—is ultimately why we created Creditera, which is where I work. I’ve been here for a year, spent the past seven years at Intuit and really our service is 100% dedicated to small businesses, and we want to be the advocate and the advisor for small businesses to understand how they can build, grow, and protect their business credit so they can grow the business of their dreams. With that, Jonathan, I’ll send it back to you and we’ll take it open for questions. Jonathan: Awesome. Thank you so much, Tim, for that presentation. We have some great questions for you. The first comes from Kimberly Smith and she wanted to know where she can find her business credit score. I believe you can do that at Creditera, but would you mind giving us some examples of how you can do that? Tim: Sure. Well, that was a soft ball. Yes, Creditera. Let me tell you a little bit about our product. By free, I mean no credit card required. We’ll give you your TransUnion personal credit score, as well as your high level summary from Experian and Dun & Bradstreet for your business credit. What you’ll find down there is first of all, do you have a thin file or do you have a complete file? Are there any derogatory notes there and you can look at a high level for your SIC code and so on, for $30, you get your complete reports, Experian and Dun & Bradstreet as well as personal TransUnion and Experian, and the as of last week, I’ll tell you what we offer and this is actually pretty important and it’s pretty unusual is we’ve just begun offering your SBSS liquid credit score. The FICO SBSS score is what is mandated by the US government to determine eligibility for SBA bank loans. Now an SBA bank loan is usually a prime plus 2% so roughly 6% interest over three years. I guess even more importantly on all of this is it’s backed by the United States government by 80%. That is the local bank, if you qualify for an SBA loan and roughly you need a 160 out of 300 on SBSS, which we can help you determine if you have that. It is $50 but believe me when I tell you, you cannot get it anywhere else regardless of price. We’ll help you figure out whether you qualify for that and if you do, the banks love it because like I said the government backs it by 80%. If you need a $100,000, you can SBA loan that bank is guaranteed, the US government is going to guarantee $80,000 of that $100,000 loan for that small business. As particularly under $350,000, it’s called the 7A loan, I am here in Washington and I can tell you that the government really, really, really wants to see small businesses qualify for that kind of funding so that the government can give you 80% backing and banks love to have it. Jonathan: Excellent, thanks for that and definitely encouraging everybody who’s attending today’s webinar to check out Creditera to find your business credit score and learn how your personal score is also impacting all of that. Tim, we have a couple questions that are around the same theme. They’re wondering how long does it take to build your business score, especially if you’re just starting out? Is that impossible? Does it take three months? How long can somebody expect to take to build that score? Tim: Well, that’s a great question. Our product, I’d love to think of us as a score zero, which is even before you’ve hung out your shingle and have started, you should start thinking about how you’re going to build up that credit report. Now that being said, it is not an overnight phenomena, it’s probably about a two year journey where you can really establish your business profile. Now when you first start out in business, so again you’re making cupcakes or whatever it is, your personal credit is going to be 99% of what folks look at. It makes complete sense to start building up that credit profile, like we talked about earlier. Establish that business entity, start demonstrating that this business entity is an ongoing concern and profitable. I would say by year two, and I realize that sounds like an awful long time away, but by year two, you should have an independent business that has been, and that’s the other thing too. Many banks or lenders are like, if you haven’t been in business for two years, they’re going to take that as a real strike. If you get to year two, you want to be there with a full credit profile ready to demonstrate. The last thing you want to do is spend two years struggling through what are invariably the most difficult years for a small business and then get out the other end and have an absolutely empty business profile. You should start from day one and I would say have a goal for yourself, by the end of year two, the ability to start raising capital on that business rather than a personal guarantee. Jonathan: Okay. That’s great. Thank you. We also have a question from Kyle. Wondering if the business score affects his personal score? I supposed on the flip side, does the personal score affect the business score? Tim: Great question. The bottom line there is they are completely separate. Your personal score does not impact your business. Your business score does not impact your personal. However, and this is a big however, the SBSS liquid credit score that we offer which is required by government decree for SBA loans is a amalgam of your personal and business scores. Your Experian Vantage 3.0 personal score does not impact your Experian Intelliscore for your business. However, your FICO SBSS liquid credit score is a mix of personal and business credit. Now the reason that FICO created the score, they created on essentially the behalf of the US government, so that they could have a nice metric to look at small business loan qualifications. They realized that most bankers wanted to know the personal credit worthiness of the individual as well as the business credit worthiness of the business. That’s one example of where they’re melded, but in general, they do not impact each other. Jonathan: Excellent. Thanks, we have a question from Calvin, who’s wondering what’s the quickest and easiest way to increase your business credit score? Tim: I would say the best way to improve your business credit score is to start getting trade lines reported to your business that are essentially positive. If you have vendors or suppliers that you’re paying, and you’re paying them on time or early, ensure that they are reporting that payment to Experience, Dun & Bradstreet or Equifax. That is if you are out there and you’re making payments on time or early, you’ll need to ensure that those folks that you’re paying are serving as trade lines for your business. If you sign up for Creditera, we’ll help show you how to do that. We actually have forms that you can send to your suppliers so they can do it, but that is the quickest and easiest way to improve your business credit score. Your business credit score, 50% of the score—literally half of the score—is going to be based on your payment status. If you get six or seven companies. You say this company pays me on time or early, you’re almost guaranteed to have a really good score. Jonathan: Great. We have a question that I think might help clear up some confusion that people might have. Joel asks if the credit score of any business, is that to determine the market price of the business? Or maybe you can clarify exactly what their business score impacts. Tim: All right. Fair enough. Your business credit score is going to be used for a variety of different reasons under different scenario. Let me give you an example. You are a local plumber and you want to get the contract with your local Wal-Mart. Wal-Mart is going to go and look up your Dun & Bradstreet payment score and they want to see you have a 75 or higher. Similarly if you want to get a contract with the United States government, they’re going to look up a similar score to see how you do on that score. Unlike, and this is a really important differentiation and perhaps we need to make this more clear during the presentation, is that on the personal side of things, there were the three bureaus, Equifax, TransUnion and Experian. They have all the same scores, 350 or 300-850 and it’s essentially used for credit cards, home buying and auto purchases. They’re essentially the same thing. There’s 98% data overlap between them. Once you get to the business side of things. It’s very very different. Okay. Different folks are going to look at different scores for different reasons. Let me give you an example of how things might differ. On the personal side of things, it would be highly uncommon, if you had, let’s just say 800 credit score on Experian and Equifax. Then your TransUnion was at 600. It’s possible but again highly unlikely. If you go to the business side of things and if you look at the Dun & Bradstreet PAYDEX score versus the Experian Intelliscore, you could have very different scores. Let me give you an example. With PAYDEX from Dun & Bradstreet, what they measure is essentially the historical view of your payment records. Let’s just say you started a restaurant in Kansas City, and you’ve been at business for about a year and a half and you’ve done a great job of building your business credit, you’ve done everything that I’ve talked about here in this webinar, and you’ve paid early. You could have a PAYDEX score for Dun & Bradstreet of 100. You’re perfect. You’ve got five people who are reporting your payments. You paid all of it on time or early. Now you could look over at your Intelliscore from Experian and you might have a 50. Again, from an excellent score to a very average or below average score, why would that happen? It would happen because Intelliscore is forward looking. It’s predictive and what Intelliscore is going to look at is, first of all, how your payments have been and then from PAYDEX, they’ll see that you’re paying on time or early ahead of time. However, you’re also a restaurant and you’re under two years old. Based on everyone else’s profile, that would suggest that there is a decent likelihood that you’re going to default by more than 90 days out of payment in the next year. You can’t even help it. The bottom line is your restaurant is less than two years old and you’re a credit risk. Okay, you’re going to have very different scores based on different bureaus. What’s really important is that you understand how those bureaus look at you and how they score you and then even more importantly, the people that you want to connect with whether it’s people who are going to give you a loan, people who are going to ultimately decide your eligibility for a contract or folks who are going to looking at you for your eligibility requirements for all of your payment terms, for insurance or whatever. What are they looking at, because on the business side it’s much much much more varied than on the personal side. I apologize if that’s a long convoluted answer but the simple response is is that the business side of credit is a fairly long convoluted thing. Jonathan: Okay. Thank you for taking the time to give us that answer, I think that’s helpful. We have a question from Eileen and she wanted to ask: if you have a credit card that has both your personal name, and the second line is in under the business name, is that a business card that counts towards the business score or is that only counting towards the personal score? Tim: My guess there is that it’s only going to count towards your personal score, the first thing that you should do is separate your personal from your business life, that is rule number one. Get a business card, if it has to be a small degree of capital that’s fine. If you’re able to raise certain funds hopefully you can qualify for some business card that can acquire, that can ultimately handle the amount of volume that you’re putting in your personal card. I would say the most important component as a small business owner is that as soon as possible separate your personal from your business life. Open up a business checking account. Open up a business credit card, the thing that you really want to do is establish that business whatever the business you’re in, establish that as an individual entity because in the long-run, you’re going to be able to get much more money at a much better price and much less concerned, stress in your personal life than if you open it under personal guarantee. Jonathan: Okay. Great. Thanks, we also have a question from JB who brought up the examples that you mentioned of building some business credit by opening up lines with vendors like Home Depot or Staples. His question has to do with will they give you a business credit card without looking at your personal credit if you don’t have any business credit? What goes behind them offering some credit to you? Tim: Yeah. That’s a good question. The bottom line is what they’re giving you is $100 credit to their store. You get a Staples card, you can’t use that anywhere else, they figure, hey, we’re willing to giveaway essentially $100 gift certificate for somebody to come in and spend it in our store. Will they look up your personal credit? No, at least I’m 90% sure that they won’t. It’s all just about getting small businesses to use their cards. Again it’s much more of—and again the credit lines are very small—it’s usually $100 or less and you can only use it at their stores so from their point, it’s essentially $100 gift certificate that you come in and their hope is that you’re going to grow into a substantial business and they’re going to get your business long-term. Jonathan: Excellent. Thank you. I’ve been waiting for a couple of these questions to build up before asking this question. We have a number of our audience are in international countries, outside of the U.S. They’re wondering if these pieces of advice apply to international countries, just the U.S., what’s the situation for them? Tim: Well, I’m afraid I’m going to have to defer on this. Our product is U.S.-only. I think if you’re in the commonwealth countries, U.K., Canada, Australia, it’s probably very similar. If you’re dialing in from countries outside of the English speaking commonwealth world, I’ll be the first to admit that I’m not really sure exactly how it works, so I won’t hazard a guess. Jonathan: That’s fair, that’s fair. Thank you. Yeah. We’d just recommend that anybody outside of the U.S. and other countries, connect with other people who have built up their businesses and ask them those questions about how to build that credit. I have a question from David who says that a lot of small stores want a personal guarantee if your business is less than three years old and wondering if you have any suggestions about that? Tim: Yeah. Well, I think three years is a bit longer. I think if you talk to most financial institutions, it’s usually two years and they’re going to want some financial guarantee unless you can prove that your company is completely standalone sufficient. I’m not sure I have any magic silver bullet there, other than sooner that you can establish your business, your small business credit profile, and establish that it’s profitable and that you can ultimately raise money off of that business rather than yourself is a better way to go. Again, three years seems a bit long but it doesn’t seem crazy. Jonathan: Okay. Thanks for that answer. We have a question from Daniel who was asking how do you make sure that vendors are reporting to credit bureaus? Now, I know that you’ve answered this question a little bit but I was going to ask if maybe you could answer it two ways. One way is how do you make sure that they’re reporting to credit bureaus on your own, and then also explain to us how Creditera could help with that? Tim: Yeah. The only way that I actually know how to answer that is if you go to Creditera for free, no credit card required. You can sign up and we have a module called credit builder where we have eight things that any small business needs to do to establish a firm foundation for small business credit. This is legal incorporation, get an EIN number, bank account, et cetera. If you click into that, we will provide you with the form and the reality is it’s a bit sludgy based on 2015 world about what you would need to do. The reality is, also Creditera, it’s not the world that we want to live in, it’s the world that we do live in. We have relationships with all the bureaus and essentially we’ve got their forms that we can give to you that you would have to send to your suppliers for them to report on you. That’s the one way I know for sure to do it. I suspect that if you went to—and again the main bureau is that they could buy either Experian and Dun & Bradstreet—go to either of those two and I’m sure you can find it on the website, but again if you come to our website, sign up for free, no credit card required, log-in, you get your personal score and some other things and then you can go to credit builder and we’ll send you directly to where you need to go. Jonathan: Awesome. Thank you, there’s a question from Lu, that I’m wondering if maybe more people have some confusion on this. She says that her experience has been that whenever she applies for credit, the personal credit is always checked even if the business is incorporated. Are you saying that there are some companies that will give credit without checking the personal credit or are they always looking at both even though the scores are separate from each other? Tim: Another great question and I think the bottom line is usually yes your personal credit is going to be checked. I think until you get to a really completely standalone business—and the way we liked to think about it is it might take you three or four years, and a million dollars or so in revenue—to start raising capital off of purely that business profile. The bottom line is yes your personal credit matters, it matters more the earlier that your business is in or the smaller that your business is. Again, if you want an SBA loan, that SBSS liquid credit score it’s going to be created off of an aggregation of your personal and business account. As much as I would like to tell you you can completely get away from your personal credit, unfortunately, the way the banks work today, most financial institutions work today, your personal credit is going to be play some role. The earlier the business, the more dominant, the later the business, the less dominant. Jonathan: All right. Thanks, that’s really helpful to understand that a bit better. Jerry asks and maybe you can repeat some of the information that you brought up earlier in the webinar. He wants to know more about the FICO SBSS score and how that one is used and what people can do with it? Tim: Sure. The FICO SBSS score is it’s called small business service score, I believe, and essentially the US government mandated that they wanted a single score that would be used to qualify small businesses for SBA loans. SBA loans again it’s prime plus 2% backed 80% by the US government. I think over three years, which is the typical 7A loan. It’s the best small business loan you can get. If you can get it, you should get it. SBSS, now here’s the thing: FICO is not going to tell you exactly their algorithm for creating the score, that’s their proprietary information. It is an aggregation of your personal and business scores. Essentially if you score over 160 out of 300, you’ll qualify, that doesn’t mean that you automatically get the score or you go get the loan. There are other qualifications that matter. Your revenue size, years in business, et cetera. 160 is essentially the cut-off. They can go as low as 140, if you had extenuating circumstances that you can prove. SBSS, if you’re a small business and you need funds to expand or grow and if you’re looking for something $350,000 or less and you think that you’ve been around for a while and you have a strong credit report. I would highly, highly, highly encourage you to figure out what your SBSS score is. Because if you have a 200 or so, there’s a very good chance that a Wells Fargo or a Bank of America or some other major bank is going to give you an SBA loan, and they love this loan because the government is going to stand behind you for 80%. That doesn’t mean that if you default they’re going to pay 80% to you, that means they’re going to pay 80% to the bank. From the bank’s perspective, it’s almost a no-lose proposition. I am literally sitting here in Washington, D.C. for this webinar and I was on the hill this morning and I can tell you that the government wants nothing more than to give out more $250,000 growth loans to small businesses around the country and the first step in determining your eligibility is that SBSS score. By all means, figure out where you are, figure out if you’re above their threshold and if you are not, what you can do to get there. Jonathan: Awesome. Thank you. Yeah, that’s great to hear about the government and their goals for small businesses and the country. Daniel had a question looking to build his business credit and he’s wondering, is it necessary to incorporate your business, or can you build business credit with a sole proprietorship? Tim: As a general rule of thumb, incorporation or at least incorporating your business as a separate entity is the better way to go. You might want to talk to your local CPA or tax advisor, it would depend on the business that you’re looking at growing. Incorporation generally is the better way to go primarily because it helps establish the business life versus your personal life. Jonathan: All right. Thank you for that. We just have a few more minutes, so we can take maybe one or two more questions if the audience has them. While we wait for a couple more questions to come in. Tim, would you mind just giving us another explanation of what Creditera does and how you guys can help small businesses and entrepreneurs. Tim: Well, sure, Jonathan. Yes. Our company, if you’re familiar at all with Credit Karma, we often describe ourselves as the “Credit Karma for small business” which is: we want to help small businesses understand what their personal and business scores are. Ensure that they’re accurate. Help them figure out what they can do to improve, then ultimately help them save time and money by directing them to the best financing option for them based on their needs and profile. That’s essentially what we’re all about. Our core product or standard product is free, there’s no credit card required. You’ll get your TransUnion personal credit score, you’ll get access to Experian and Dun & Bradstreet to see how you’re doing there. Now for $50—and again at any point, if you sign up with us, you can go back to our free product at any point—you can get your SBSS credit score, which I don’t believe you can find anywhere else. 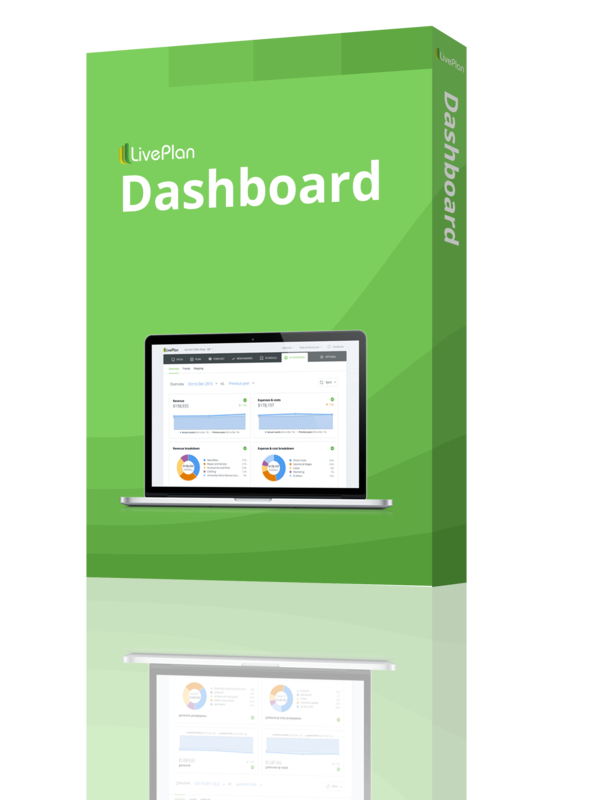 Maybe one other place but it’s probably the most important score that any small business should know and then once you sign up for that, you can drop down to our free product. Our main goal is that any small business that comes and signs up to Creditera is a Creditera customer for life. Even if that means you never pay us. We just want to make sure that you’re getting access to insights and education and other forums, so that you can ultimately grow and succeed. Because 50% of the GDP of the U.S. is driven by small businesses, two-thirds of all new hires over the past decades have come from small businesses. We absolutely believe that by empowering small businesses across America, we help make this country grow and make this country great. Jonathan: Awesome. Thank you and definitely would encourage our webinar attendees to check out Creditera and their products and take a look at what they have to offer. Tim, a question that I had for you, that I think is echoing some of the other questions that we’ve had, is what if you’re an established business and you have already muddled between personal credit and business credit and you need to separate those, is it too late? Is it impossible to get them separate and get a strong business credit score and keep your personal credit score separate? What are some steps that you can take to get those things squared away? Tim: Well, it’s certainly never too late. I guess the first step that I would take is determine what the main business credit profiles have on you. If you’ve been around for seven or eight years, the first thing I would want to know is what does Experian think about my business, what does Dun & Bradstreet think about my business? Am I a thin file, am I a 20, am I a high risk candidate? Go out there and just figure out what do these guys really know about me? That would be step number one. Step number two is how and where am I intermingling my personal life with my business life? Do I have one credit card where I’m putting my personal trip out to dinners and the ball game with ordering a thousand dollars of supplies, whatever paper plates for my business. If that’s the case, let’s separate that, Let’s get separate business cards to put those things on. Do I have a business banking account? Hopefully you do. Hopefully your business is not operating out of your personal banking account. What are the things that you can do if you haven’t done them, whether it is your business bank accounts, there’s business credit? Your business credit cards, your incorporation, all of those sorts of things. Again, you’ll find this in our credit builder on our product. These are the things that you really need to do, to have a firm business credit profile. In closing, I would say that it’s never too late and I even think that if you’ve been in business for a long time, the ability to catch up is actually much easier once you do that. The bottom line is if you’ve been in business for a while and you have a really growing concern and it’s profitable, you want to separate that from yourself. You don’t want Jane Doe’s cupcakes to be intermingled with Jane Doe the person. You want those two entities to be completely separate and to live on their own. Jonathan: Okay. Thank you. We had a question come in that I think would be helpful for you to clear up some possible confusion. You’ve mentioned getting an EIN, the employer identification number and Kinyada wanted to know, is that the same thing as the TIN? The taxpayer identification number? Tim: I do not believe it is the same but I’m not going to go on record to say for sure, that it is different. Again on our website, we have the EIN. The EIN is when you pay third-parties, I think your taxpayer number is much more just about your individual taxpaying number for the business. Again I’m going to be a little bit soft on that response and say that I do think you, if you have a taxpayer number, you should have an EIN. Jonathan: Okay. That’s fair. Yeah, definitely recommend that you take a look into that and explore that further. I think we’re just about out of time, so Tim, we wanted to thank you for spending some time with us today to explain the differences between business and personal credit and why it matters and the steps that people can take to build a strong business credit profile. I just want to recommend to everyone here attending today’s webinar to check out Creditera at creditera.com. You can also send questions to us or Creditera on Twitter, @creditera is the way that you can reach out to them on Twitter. You can reach out to us @bplans on Twitter. Go ahead and tweet at us, let us know if you’ve enjoyed the webinar today. If you have additional questions that we didn’t have a chance to get to, that’s a great way to reach out to us. Also check out Bplans.com for more information on starting and running a business, and Creditera.com for resources on building your credit profile. Thanks again Tim for being with us, and with that I’ll give you the last word. Tim: Well, thank you very much, Jonathan. Thank you for everyone who dialed in. Business credit is a very unsexy but important component of being a successful small business in America. I do think everyone who’s dialed in, I wish you the absolute best of luck. I sincerely believe that you are our national heroes on a day to day basis for what you do. Again thank you Jonathan and Palo Alto Software and Bplans for giving us this platform and I wish nothing but the best for all of you who dialed, and Creditera is more than happy to follow up with any of you, with any follow up questions.